Finding the right foundation for me was the hardest thing when I started getting into makeup. It is still hard when I want to buy one that I can’t get in store and have to order online. Throughout the years I have managed to find some little tricks to help me pick the right foundation that will not only match your skin tone but that it will also look flawless, no matter what coverage. 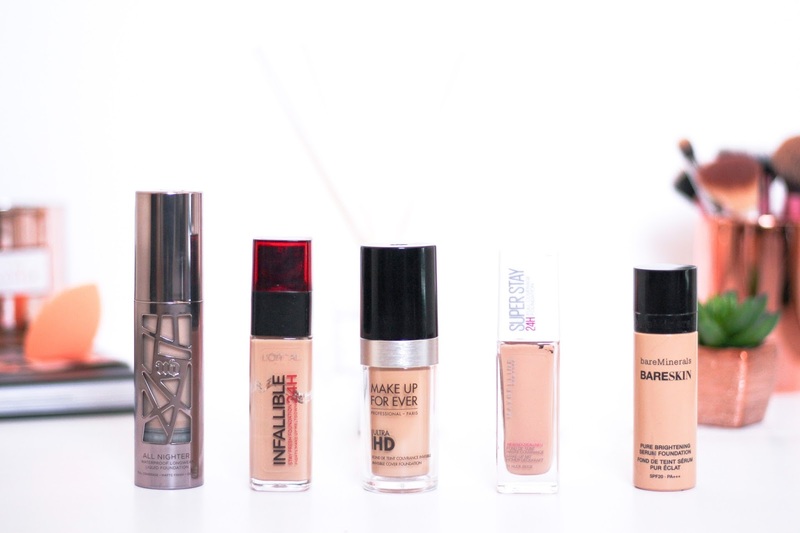 Here are my tips to help you find the right foundation. This, for me, is the main thing. I always thought that foundations looked a bit too cakey on my skin and at first I believed it was because I was applying to much product so I started applying less, then the makeup sponges came (that are meant to soak up any extra product) and it was all the same. This was because it never even came to my mind to think about my skin type.Knowing a lot about your skin, its needs and preferences is essential for a good looking base. I have normal to dry skin (leaning more to dry, tbh) and so foundations that are very matte and/or heavy do not look good. I have tried and I haven’t enjoyed it. Same thing if you have oily skin – applying a foundation that is dewy or luminous will ruin it for you. So take some time to discover what skin type you are so that you know what will look good. 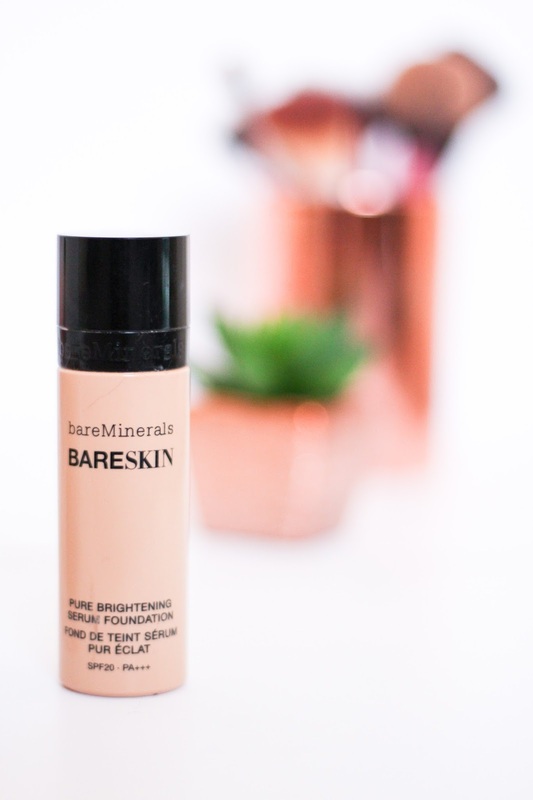 Having dry skin means that full coverage foundations can be a bit tricky and I have struggled to find the ones that suit my dry skin. Most of full coverage foundations can accentuate dry patches so you want to avoid that. It is a bit of trial and error in the beginning, I admit. But you will get the hang of it. So if like me you love full coverage foundations but have dry skin, you want to look for foundations that have that coverage you want but lean more to a satin, dewy finish. The Bourjois Healthy Mix Foundation is one of my favourite foundations to date. When I apply it it just feels like a boost of hydration that is covering any imperfections on my skin. One that I tried and didn’t like was the Urban Decay All Nighter Foundation – too dry, I felt like my skin couldn’t breath and my skin didn’t like it. I have kept it because I am improving my skin care routine and applying a lot more hydrating products so I will give it a go one day. Undertones can be so complicated, at least it was for me. Knowing if you have a warm, neutral or cold undertone is a true mission but once you know, it will change your foundation game. I had no idea of any of this back in the day and it was when I was takin pictures that I realised that my face looked pink in comparison to my body. Then I did a bit of research to find all about skin undertones and to get to the conclusion that I had a olive/yellow (warm) undertone and that that foundation wasn’t do it me any justice. One good trick to find your undertone is by looking at your veins on your wrist. Warm tones tend to have green veins as the yellow or olive of your skin will give a green tint to your blue veins. If you are neutral it basically means that you have both undertones present on your skin so your veins will look blue-green and finally for cool undertones, your veins look blue or purple. Also, the way you tan tells a lot about your undertone – if you tan easily and quickly, you are warm-toned. If you turn into a lobster, have a tendency to burn then tan, you are cool toned. If you tan slowly but not often burn, you are probably neutral. This will give you a fair idea of what undertone to go for and it will completely change the way your foundation will look. Most foundations shades have the initial referring to the undertone as for example the Make Up For Ever Ultra HD Foundation. Mine is in the shade Y245, being Y for yellow undertone. This will help a lot on deciding which is your shade when buying online. You can read more about skin undertone here, on the Huda Beauty website. Don’t ever just stick a bottle close to your face and figure out that the foundation shade is right just by doing that. Make sure you apply some to your face, ideally neck area to colour match. Some people fake tan and therefore their face might look a bit lighter than their neck and that it is why it is ideal to colour match by applying the foundation on your neck. Some people also like to test it on their shoulders as their arms are sometimes slightly more tanned than the neck. This is also a great way to do it as long as you ensure that you will blend the foundation down your neck so that it look seamless and your upper body is all one shade. I am not too picky if I get a colour slightly darker or lighter as that can be fixed by either applying a lighter concealer and/or powder when buying a darker foundation or by applying loads of bronzer if the shade is too light. I can always make it work if the foundation is one or two shades lighter/darker but I can never fix it if it is the wrong undertone. Some people also recommend to get out of the shop and go somewhere with natural light to actually see the true colour. It is also important to let it set a bit so that you see if the foundation oxidizes when dry. If you want, ask for a sample too before purchasing, specially if you don’t feel comfortable or sure about the shade you picked. It saves you a bit of money, specially when going for a slightly more high end brand. Findation.com is also a great website to colour match you to many foundations but it is only helpful if you have at least 2 or 3 foundations that you wear and think that match perfectly. If you are buying foundation for the first time, this website won’t be useful. Another trick I use is to find someone that wears one foundation in the same shade as you on YouTube and follow their shades in other foundations. I have done that twice and works perfectly. I follow Karima McKimmie that also wears the Bourjois Fondation in the shade 52 Vanilla. She never fake tans and so when I wanted to buy the Ultra HD Foundation I looked what shade she was and bought it for myself. Guess what? It bloody matched. Now I just want her to do reviews of all the foundations so I know all my shades. Thank you so much Karima. This is an obvious one but it is worth mentioning. Find what coverage you like or prefer. If you are looking for a more day to day, light wear foundation, go for something light to sheer coverage. If like me you like to cover everything, full coverage is the one to go for. Read reviews, watch youtube videos or even cover the back of your hand with a bit of foundation if need be. If it is covering everything on your hand, that is probably the foundation you are going for! If you like a finish of a certain foundation that it isn’t full coverage, at least try to find out if it is buildable without getting really patchy, dry or flaky. Sometimes building another layer of foundation completely ruins your base. So do your research. I am cheating here and this isn’t really a tip to find the right foundation for you but it will definitely make that foundation that is your shade, perfect for your skin type and the right coverage look bomb. Not worth buying great foundations when the canvas isn’t good. Skin care is so important and it will really change how the foundation applies, sits and lasts on your skin. True story. And this is it! I really hope you enjoyed reading this post and that it was somehow helpful for you. Here are the five foundation I currently own. I have the new NARS foundation on the way so expect for a review in the next few weeks or so. I can’t wait to try it!